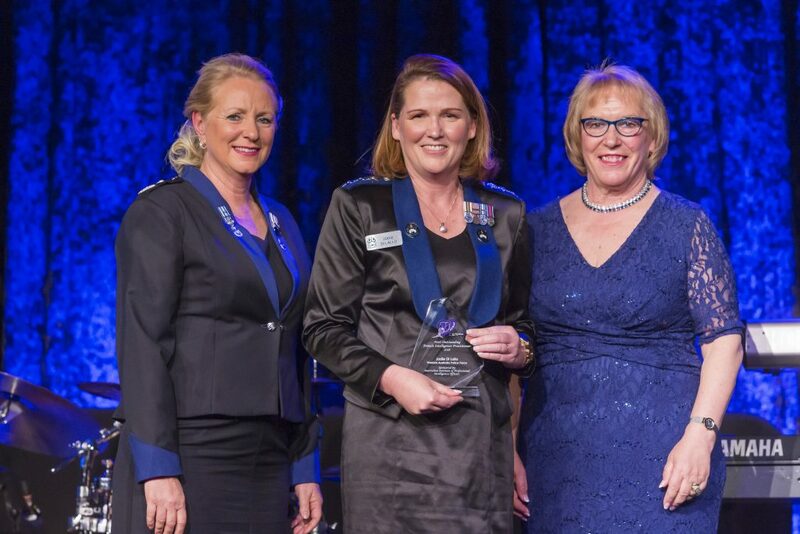 The achievements of some of the leading women and men in law enforcement have been recognised with the announcement of the annual Australasian Council of Women and Policing Excellence in Policing Awards 2018. Now in its 20th year, the awards publicly acknowledge and reward those who are contributing to improving policing and law enforcement and ensuring policing services are enhanced for women. The Australasian Council of Women and Policing (ACWAP) has been participating in the global network of women in policing since it was established in August 1997. It consists of women and men within law enforcement agencies and the community who work together to improve the opportunities and services provided to women within the community. 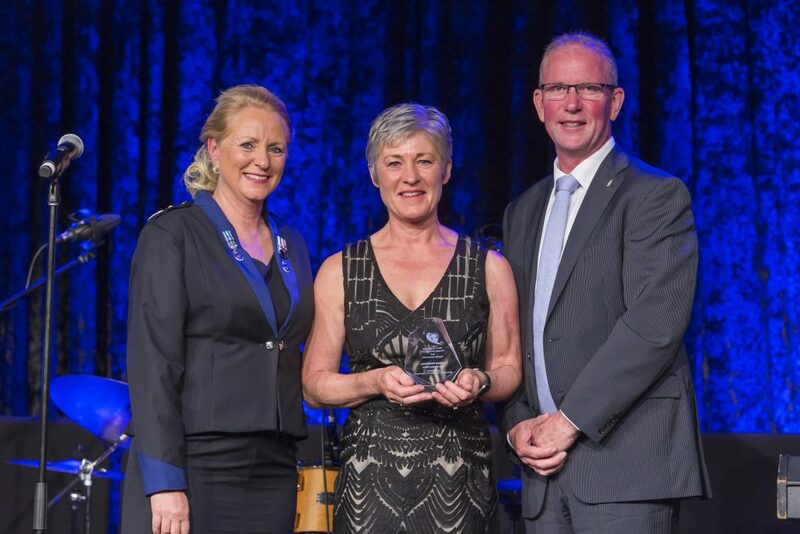 The awards dinner was held at Crown Perth on 13 September in conjunction with The Power of Many Equals Professional Development Seminar, co-hosted by ACWAP and the Western Australia Police Force in Perth, Western Australia. 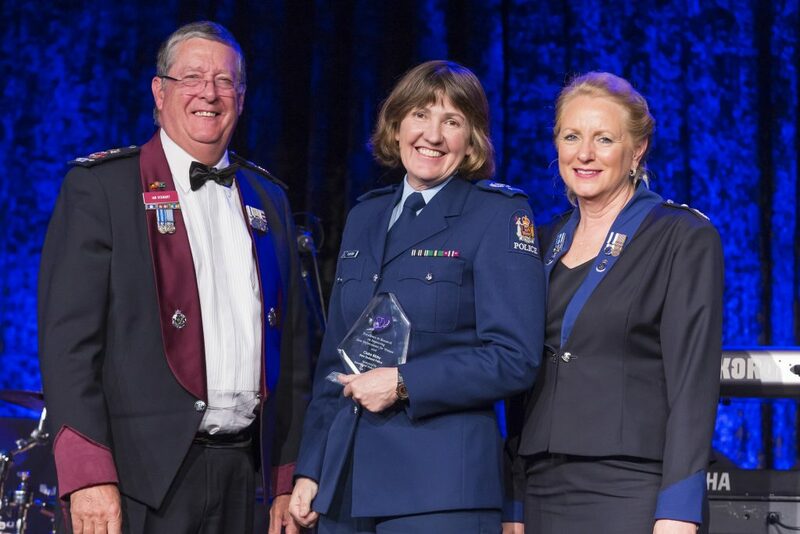 The winner of the Most Outstanding Female Administrator Award, sponsored by Crimsafe Security Systems, is Sergeant Kevlynn Janz from the Queensland Police Service. Commencing in 2015 as the first administrator of Police Citizens Youth Club (PCYC) in Queensland, Kevlynn focused on creating a detailed and task-oriented process to manage a dispersed workforce of police officers and staff members from Thursday Island to Surfers Paradise. For the past three years, Kevlynn has maintained an informal women’s support and recruitment network, assisting current female managers and aspiring managers to find careers in PCYC and the youth program space. Her commitment to see community programs delivered for women in as many locations as possible drives her administrative excellence. 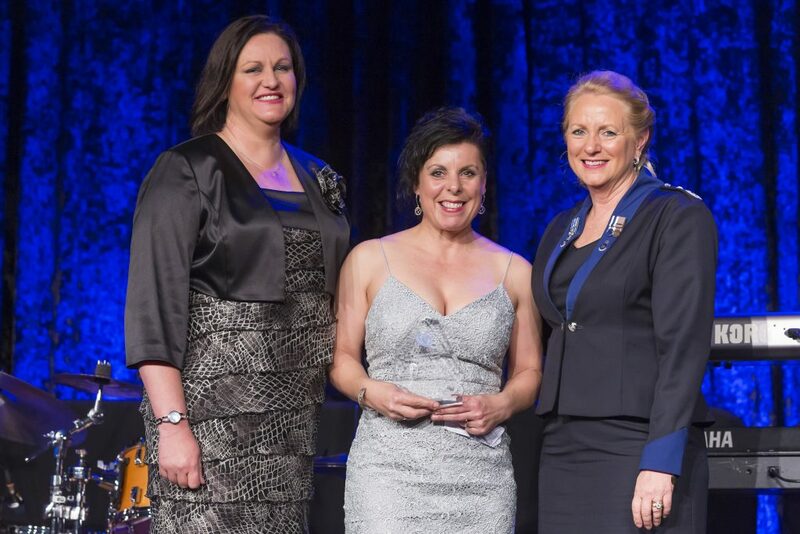 The winner of the Most Outstanding Female Intelligence Practitioner Award, sponsored by the Australian Institute of Professional Intelligence Officers, is Inspector Jodie Di Lallo. Jodie is a very experienced and highly regarded member of the State Intelligence Portfolio within the Western Australia Police Force. She has a strong contemporary knowledge of all facets of covert policing methodology, and is regularly relied upon for strategic operational advice. Anne Mellor from the Australian Federal Police was also recognised with a highly commended award in this category. 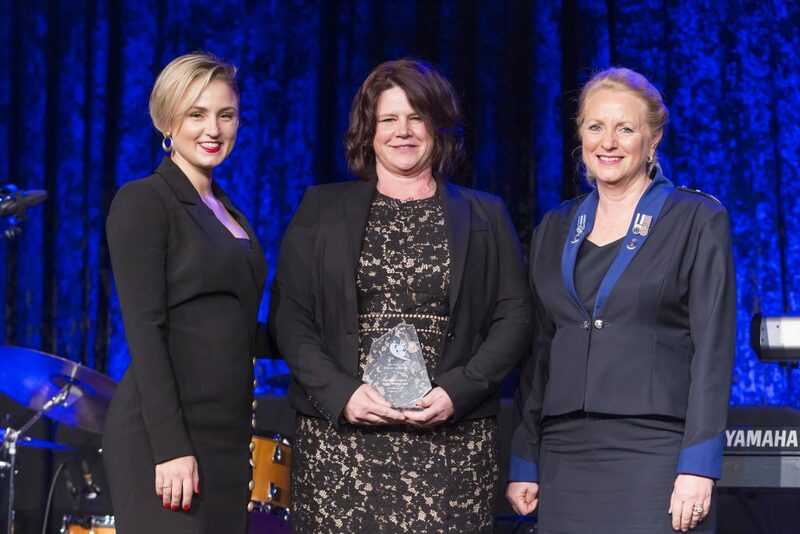 The winner of the Most Outstanding Female Investigator Award, sponsored by Queensland Police Union of Employees, is Detective Senior Constable Lisa Metcher from Victoria Police. A disciplined and resolute investigator, Lisa’s management of the investigation into the 1995 murder of Ricky Balcombe, known as Operation Carlow, is testament to her character and determination. The compassion and professionalism Lisa showed when dealing with family of the victim, and at times extremely difficult witnesses, is a credit to her. Cold cases are by their very nature the hardest investigations to solve and secure a conviction, but Lisa’s dedication, hard work and sheer determination paid off when a guilty verdict was reached. 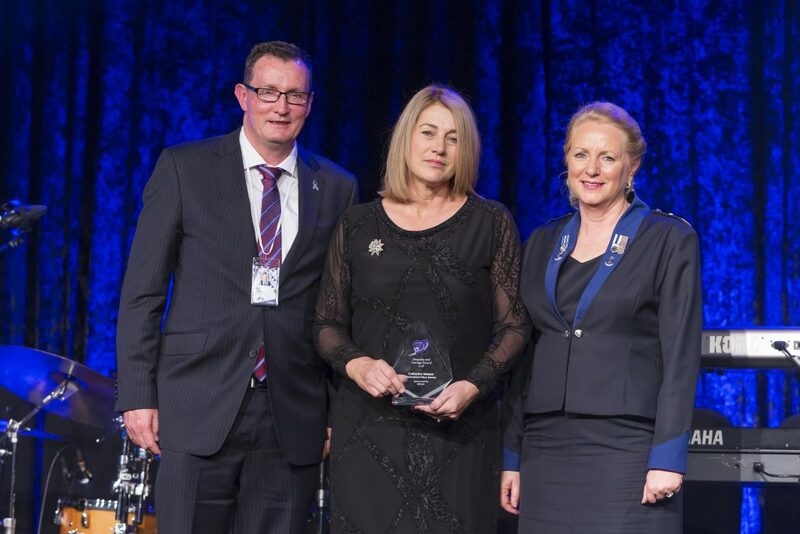 Joanne Henderson, a victim identification investigator with New Zealand Police, was recognised with a highly commended award in this category. The winner of the Most Outstanding Female Leader Award, sponsored by Executive Central, is Inspector Freda Grace. 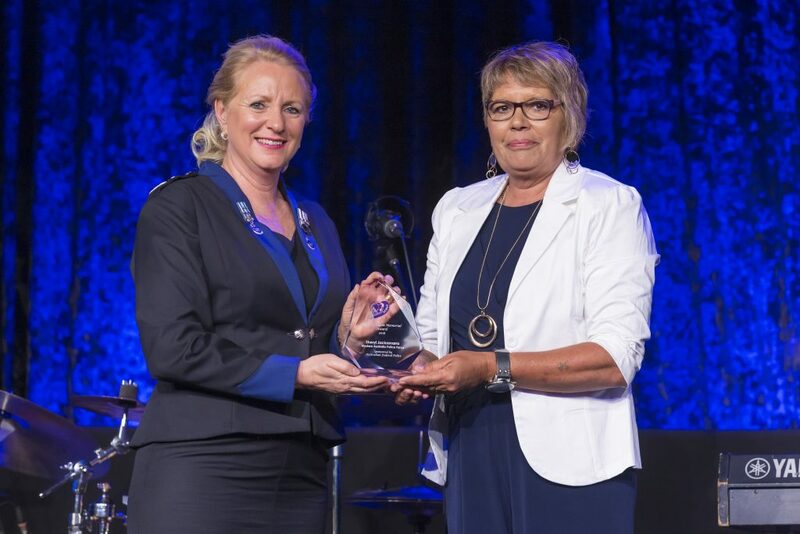 Freda is an inspirational and influential leader who has made an outstanding contribution to the New Zealand Police, the wider community and the advancement of women in Police. Freda leads with authenticity, courage and wisdom. 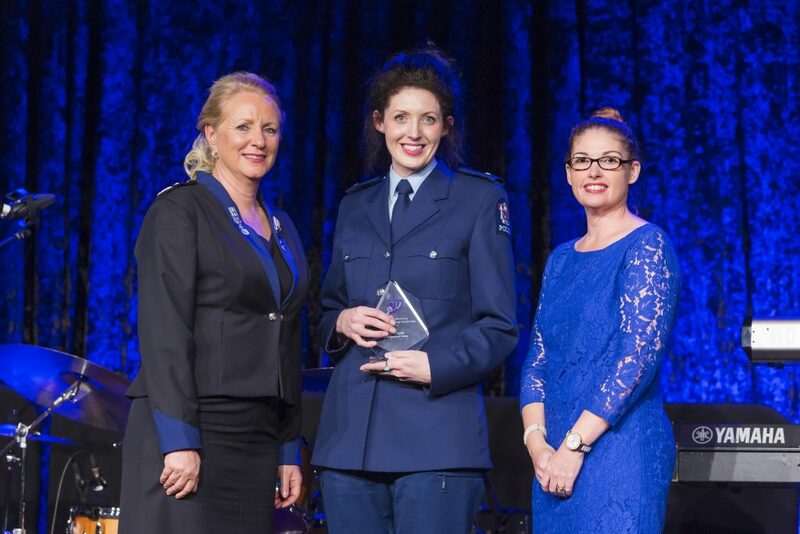 She breaks down the perceived barriers surrounding the advancement of women in the New Zealand Police, and she takes the time to guide others along the path she has blazed. Inspector Danielle Leemon from Victoria Police was recognised with a highly commended award in this category. A high commendation is awarded to Inspector Danielle Leemon, Victoria Police. 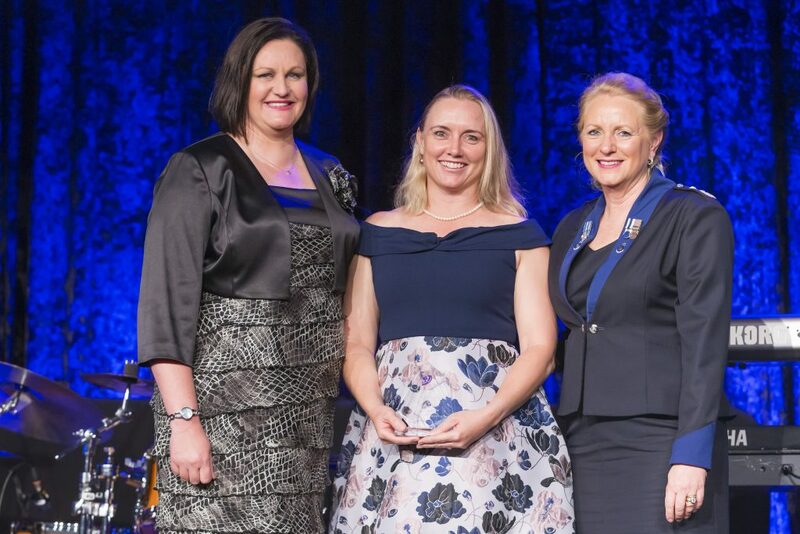 The winner of the Most Outstanding Female Practitioner Award, sponsored by the Police Association of New South Wales, is Tasmania Police Constable Tania Curtis. Tania is an inspirational leader, mentor and forensic practitioner within Tasmania Police Forensic Services. Her personal drive and initiative enable her to focus directly on learning and developing her own skills in this demanding field. Professionally, Tania is recognised across the country as an individual with very considerable expertise in a variety of forensic fields. Her willingness to share her knowledge to professionally develop colleagues enhances Tania’s value as an integral and respected member of Tasmania Police Forensic Services. 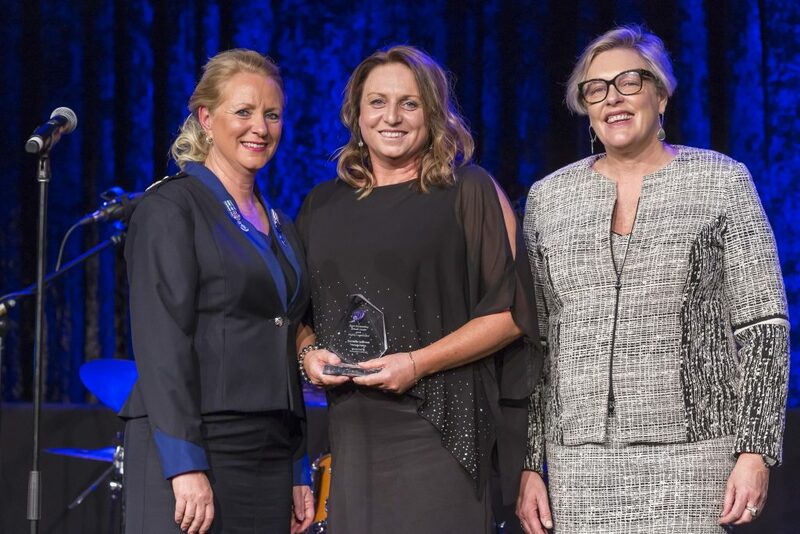 Sergeant Tina Edward from Queensland Police Service and Senior Constable Tania Fox from Victoria Police were also recognised with highly commended awards in this category. 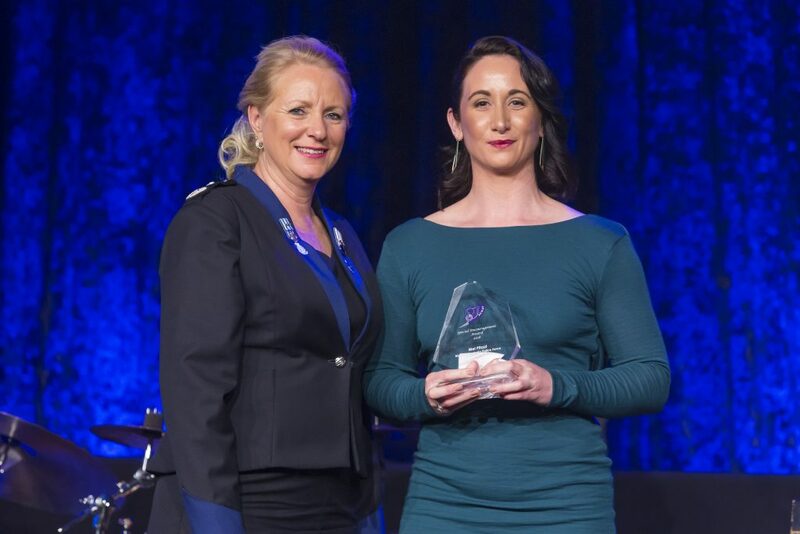 The winner of the Excellence in Law Enforcement in the Asia Pacific Region Award, sponsored by Tait Communications, is First Constable Valentina Kowa. Valentina has qualified as the first female canine handler in the Royal Papua New Guinea Constabulary. Her achievement has shown dedication in empowering women and giving hope that all officers, regardless of gender, can gain recognition in a specialist policing field. Valentina has displayed significant courage in pursuing a non-traditional career path, overcoming prejudice and exclusion in the workplace to succeed in her career dream. 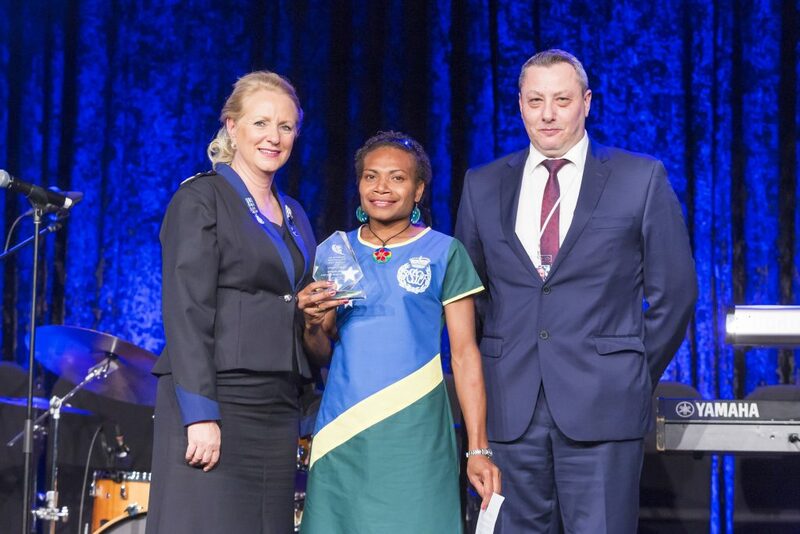 Constable Annette Mepirke from the Royal Solomon Islands Police Force was recognised with a highly commended award in this category. 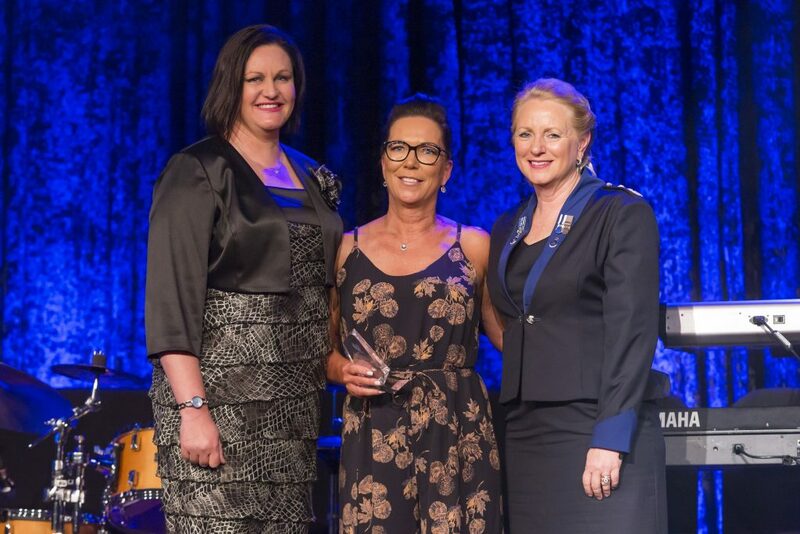 The Excellence in Law Enforcement for Women Initiative Award, sponsored by Triple Zero Property Group, was won by the Queensland Police Service’s Connected Women Program. Connected Women is a unique, vibrant initiative, designed especially for young, newly- arrived refugee Muslim women. The Queensland Police Service works in partnership with the Islamic Women’s Association of Australia across the nine weeks of the program, which is led by women. Senior female police mentors are incorporated to empower and educate the participants, with the aim of increasing reporting and improving their accessibility, safety and human rights. 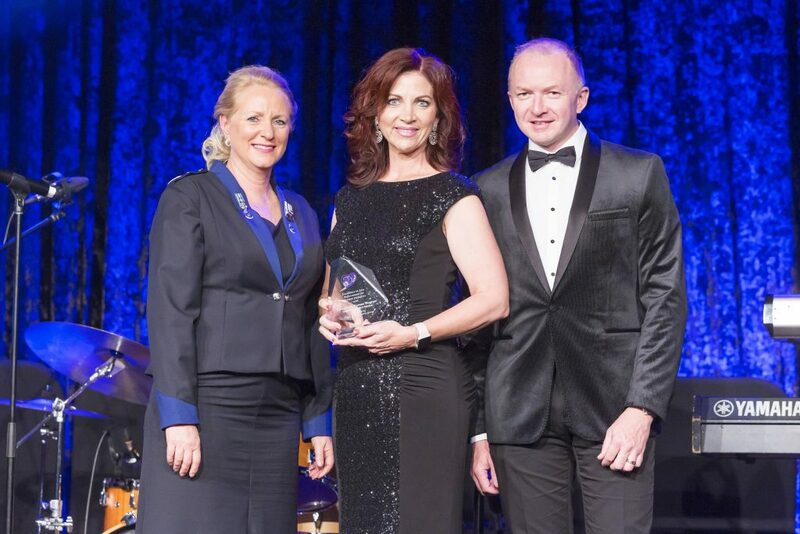 The winner of the Excellence in Research on Improving Law Enforcement for Women Award, sponsored by Queensland Police Service, is Claire Bibby from the New Zealand Police. Claire’s exceptional research makes a significant impact on developing strategies that contribute to better communication between police and people of different gender, demonstrating her passion and integrity for policing at national and international levels. Throughout the research period, Claire demonstrated absolute commitment to research excellence. Her nomination is based not only on her meticulous research and scholarship, but also on its significant contribution in the area of policing and empowerment of women. This research is particularly important for the link it creates between the commitment of New Zealand Police in national policing, with the agency’s commitment to international policing and the implementation of the UNSC resolution 1325. 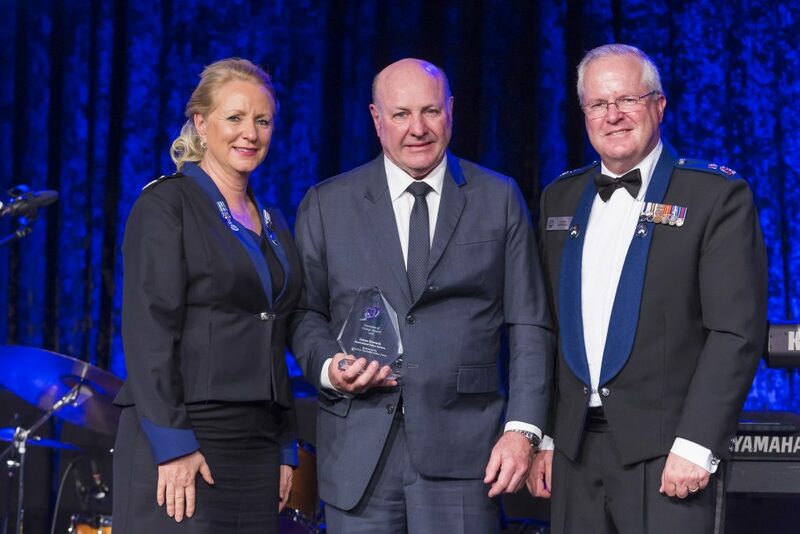 Commissioner Ian Stewart, Queensland Police Service, presented the winner of the most outstanding research award to Senior Sergeant Claire BIBBY. The Griffith University Women in Policing Scholarship was awarded to Detective Kelly Foster from the New Zealand Police. Kelly is currently undertaking a Master of Science degree in Child and Family Psychology at the University of Canterbury, Christchurch. Her thesis is to examine the potential links between a non-offending contact with police and future criminality by youth in New Zealand. There is a great deal of potential for this research to have impact across New Zealand and the wider South Pacific. This year the judging panel also presented a Special Encouragement Award to Constable Mel Pitout from the Western Australia Police Force. In 2017, Mel was transferred to Kellerberrin, where she soon became acutely aware of the financial and social challenges facing some of the town’s families and children. Working with the Community Resource Centre, local businesses and her colleagues at the police stations, Mel conceived, organised and implemented the Kellerberrin Food Pantry, a local initiative that operates twice a week to provide free food hampers to families that are experiencing hardship and disadvantage. The Integrity and Courage Award, sponsored by QBank, acknowledges the personal commitment required to make law enforcement and the community better for everyone. It is an opportunity to recognise more than just physical bravery, seeking to also recognise the courage and integrity of the circumstances where someone has the time to think about the implications of their actions and the impact those actions will have on their career, their family and themselves. It includes resolving conflict or situations that require challenging established beliefs or practices and/or protecting others who are affected by unlawful, dangerous, discriminatory or unethical practices or events. 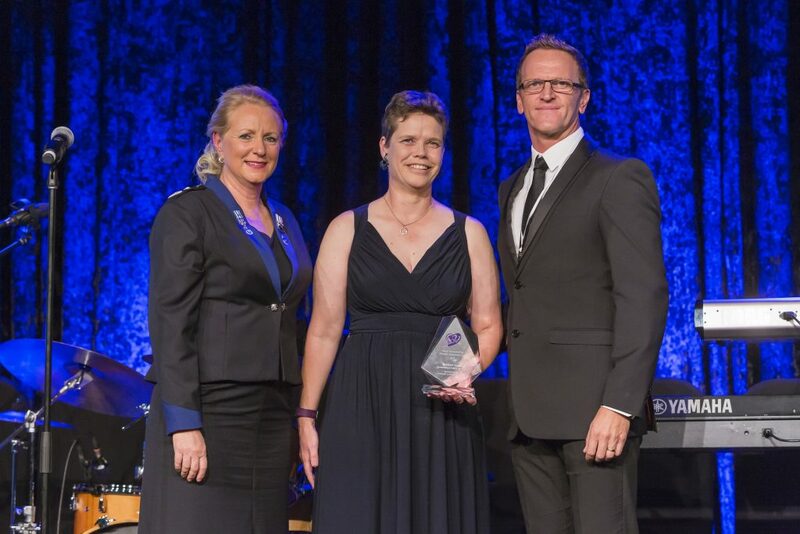 This year the award was presented to Senior Constable Catherine Nielsen from the Queensland Police Service. On 29 May 2017, Catherine found herself involved in a critical policing incident near Gatton, Queensland, which claimed the life of her colleague and friend, Senior Constable Brett Forte. Under heavy fire after being ambushed by a dangerous and heavily-armed offender, Catherine showed immense courage to return fire to repel the offender. She valiantly made every effort to try to save the life of Senior Constable Forte. Following this tragic event, Catherine has supported other police involved in the incident, and has continued operational policing and championing workplace activities. Her actions have highlighted her immense courage, dedication and integrity. The Champion of Change Award is sponsored by the Western Australia Police Force. This award acknowledges the individual and/or collective influence and commitment of men towards improving law enforcement for women. It also acknowledges the important role men play in increasing female representation in leadership within law enforcement, and how law enforcement is delivered to women in the community. Areas of particular focus are how the Champion has achieved a real change in workplace culture and mindset, and empowered both women and men within law enforcement to advance gender equality and improve policing for women. This year’s Champion of Change is Detective Senior Sergeant Daren Edwards from the Queensland Police Service. Daren has demonstrated unwavering belief, support and commitment for advancing and mentoring female officers and staff to aspire and achieve. This has led to many successes, in both his own work unit and in other areas, which have greatly improved the culture to support and embrace diversity. The effects have been realised with the empowerment of many women within the Sunshine Coast District. Daren has inspired them to believe in their abilities and to challenge themselves, with some improving the balance between work and personal responsibilities. Whether working with victims of crime or liaising with other agencies, Daren’s genuine nature and respect for all women in the wider community has held him in high esteem. 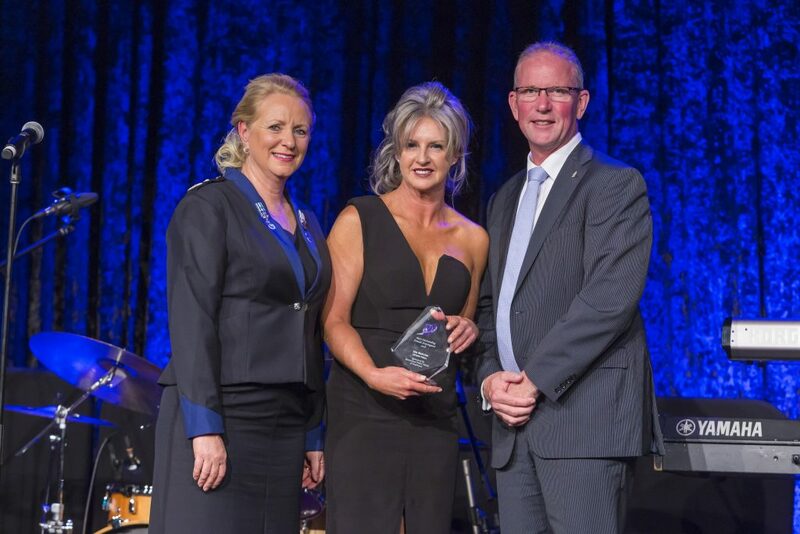 The Bev Lawson Memorial Award, sponsored by FC Lawyers, is the Council’s most prestigious award and recognises the most outstanding woman who has been first in any policing or law enforcement activity or support service. 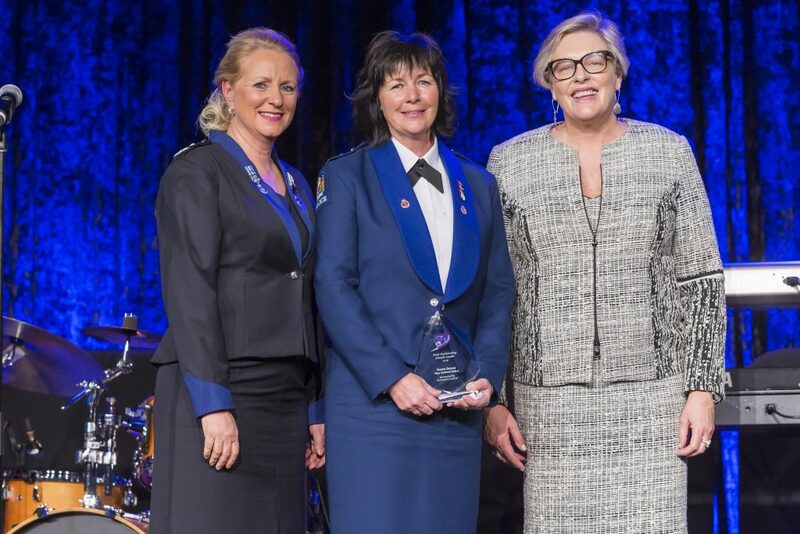 The Award is in honour of the ground-breaking achievements of Bev Lawson who, as a former Deputy Commissioner of the New South Wales Police Force, was Australia’s most senior woman in policing until her untimely death in 1998. This year the Award is presented to Tanja van Peer from the New Zealand Police. 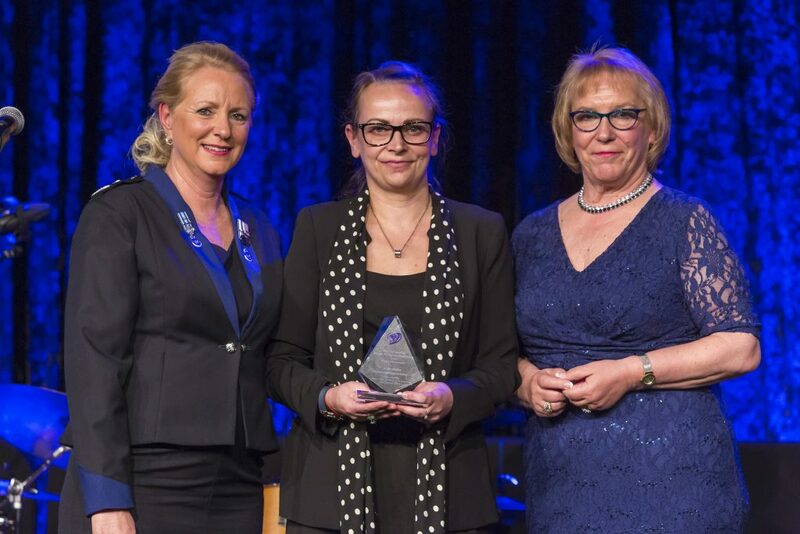 Tanja is an outstanding protagonist for women in the New Zealand Police forensic profession. In 2013, Tanja became the first and only woman in New Zealand Police Fingerprinting Section’s 115-year history to be appointed as a manager and Principal Fingerprint Officer of a Regional Crime Prints Fingerprint Section. 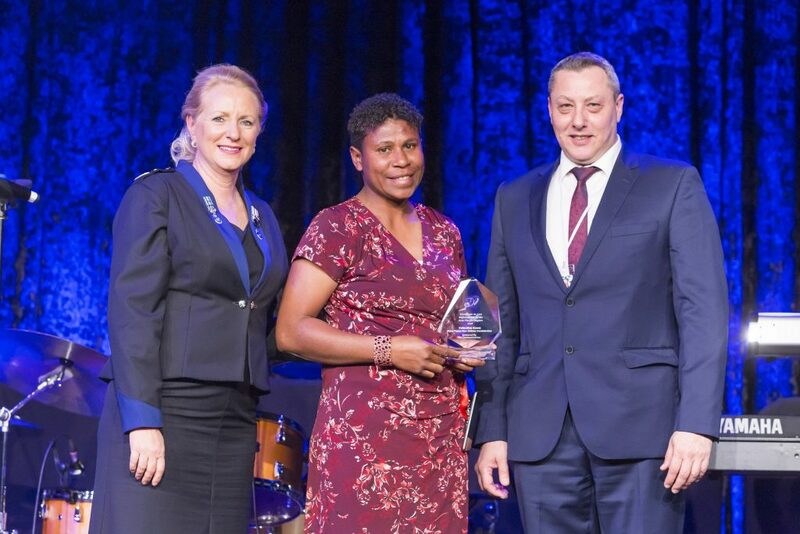 Tanja’s natural leadership was recognised again when she was appointed as the inaugural manager of the National Fingerprint Service Centre in New Zealand upon establishment in 2016. She is an inspiring leader, who empowers those around her and works tirelessly to significantly improve the efficiency and effectiveness in fingerprint service delivery to provide quality of outcomes for victims. The Audrey Fagan Memorial Award, sponsored by the Australian Federal Police, honours the memory of Assistant Commissioner Audrey Fagan APM, who was the ACT’s Chief Police Officer at the time of her death on the 20 April 2007. The Audrey Fagan Memorial Award recognises outstanding women who have shown exceptional qualities as a mentor, role model and leader in law enforcement. The recipient of this award is chosen by a selection panel from all of the 2018 award nominees. This year the award is presented to Brevet Senior Sergeant Sheryl Jackamarra from the Western Australia Police Force. Sheryl is the Officer-in-Charge of the remote Burringurrah Multi-Functional Police Facility, 480 kilometres east of Carnarvon. In this isolated Aboriginal community, Sheryl is more than just the local police officer – she is involved in the local school, coordinates community events and takes the lead role when emergencies occur, particularly flooding from cyclones. Sheryl provides inspirational leadership to her community and serves as a positive role model for Aboriginal members of her community, especially females.